You want your web site to appear on the first page of Google, but don’t know how to go about it? We, at Sigma Infotech, would do it for you and you’ll see your revenues growing!! Sigma SEO offers result-oriented search engine optimisation services that guarantee higher visibility on the SERPs and higher sales leads. We integrate the best SEO strategies into our process to make our clients’ websites search engine-friendly. Quality and performance are the integral elements in our SEO services. The process of Search Engine Optimisation is used for improving the visibility of a web site on search engines through natural search results. Search engine marketing is not about tricking the search engines, but the art of ranking your web site highly on the search engines. No matter how well a website is designed, its core aim is to rank among the top ten sites in order to get noticed on the Internet. Broadly, there are two steps under the process of SEO – on-page and off-page search engine optimisation. Firstly, the search engine optimiser has to identify the keywords and place them strategically on your pages in order to let the search engines, like Google, Yahoo and Bing, know what you want each page to rank for. On-page Search engine optimisation involves considering everything including the page title, meta tags, page headings, image names, alt text, load speed, bounce rate, besides other things, making sure that these key attributes reflect your chosen keywords. After the optimisation of pages, the search engine optimiser conducts off-page optimisation, which involves link building of inbound links to the domain from other web sites. On the whole, it is like a popularity contest where the sites, which are linked to the most, rise to the top of the search engines listings. We, at Sigma, use website optimisation techniques to produce highly competitive websites which appear on good rankings when a user conducts an online search related to your products or services. Our SEO services guarantee a larger visibility of your web site, ensuring increased brand awareness, larger customer base and return on investments (ROI). How Sigma uses a unique approach to make SEO different? We prepare in-depth research and analysis to help you create the right SEO strategy. 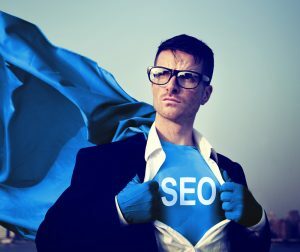 Our SEOs apply ethical SEO techniques to create brand awareness and increase web site traffic. We examine the site traffic to identify your most relevant keywords and help you determine trends in your traffic. We help you promote your most popular and relevant content to help drive traffic to your web site. We constantly monitor the latest updates in the SEO methodology in order to apply them in your company’s web site development. When done right, SEO will ensure that the web site has a huge impact on the marketing of your business products and services, growth of market share and customer base and increased revenues. Besides the SEO services, Sigma also offers pay-per-click (PPC) services to direct traffic to web sites and provide purchase opportunities by turning the visitors into customers. Now, all you got to do is contact our team of experts and we will get you noticed! !